Last year I read a fantastic YA sci-fi novel (These Broken Stars, by Amie Kaufman and Meagan Spooner). I called it “a can't-put-it-down read, with a satisfying romantic element (no love triangles here!) and mystery.” At the time I also mentioned that it was the first in a series, and despite my rampant series fatigue, I was excited to read the next installment. WELL, folks, it’s not a series. Or it IS, just that each of the books is its own, self-contained story, featuring unique characters. And that, meus amiginhos, is my favorite sort of series. Can I repeat that I loved the first book?! 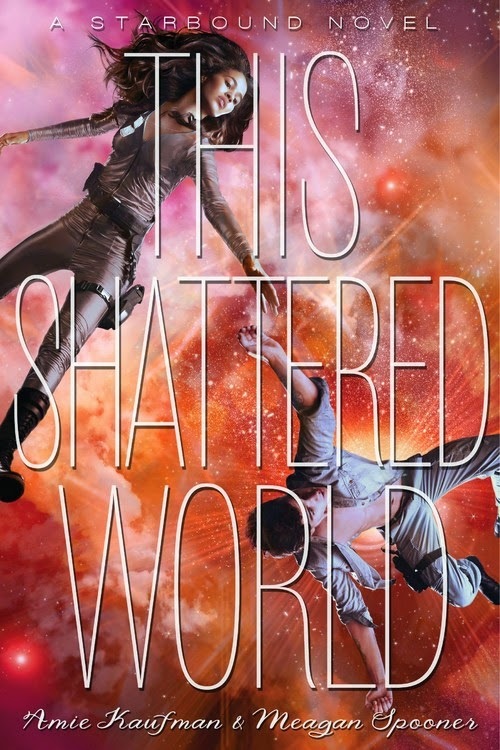 I can’t freaking wait for This Shattered World. It will be released by Disney-Hyperion on December 23, 2014. Rebellion is in Flynn’s blood. His sister died in the original uprising against the powerful corporate conglomerate that rules Avon with an iron fist. These corporations make their fortune by terraforming uninhabitable planets across the universe and recruiting colonists to make the planets livable, with the promise of a better life for their children. But they never fulfilled their promise on Avon, and decades later, Flynn is leading the rebellion. Desperate for any advantage against the military occupying his home, Flynn does the only thing that makes sense when he and Lee cross paths: he returns to base with her as prisoner. But as his fellow rebels prepare to execute this tough-talking girl with nerves of steel, Flynn makes another choice that will change him forever. He and Lee escape base together, caught between two sides in a senseless war. I haven't read this series, but I've heard good things about it. I hope you enjoy this next book! I like that kind of series, too, when each is self-contained but in the same world. Let's take a moment to appreciate the cover. I want to read this series, but haven't had a chance yet. I've not read These Broken Stars yet but it's on my TBR and I love the sound of it! Glad you liked it and that you're looking forward to the next one. I didn't know they were self-contained stories, I really like that idea. The covers are awesome! Great pick.